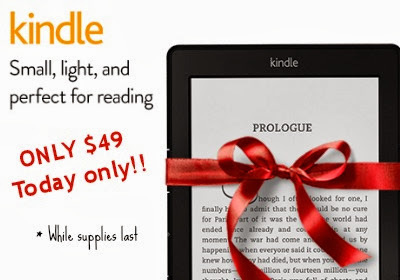 Amazon Kindle is ONLY $49 ~ today only!! Being able to read at the lake in bright sunlight with no glare. for the book lover you know!! Want even more details about the Amazon Kindle? I've had my kindle for a few years now; I received it as a Christmas gift from my family. I've loved it right from the moment I received it...in fact, I use it every day! !